Operate your own Radio Free Redoubt rebroadcasting station! 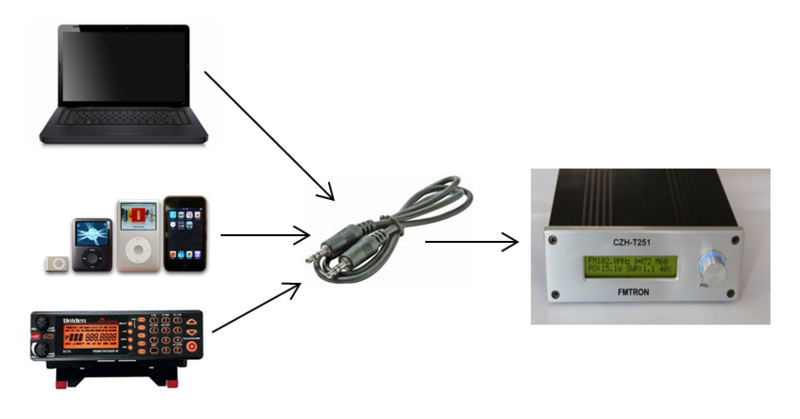 Black Echo re-broadcasters operate their own commercially-available or home built low power FM and AM transmitters. In an information black-out, when commercial broadcasting may be spurious or non-existent, they will act as sources of information and reassurance to their communities on the FM and AM dials. Previously-downloaded RFR and other podcasts, music, old time radio, books on tape, radio drama stories, etc. to get you up and running – and broadcasting. First of all, don’t let the ‘Pirate Radio’ thing scare you off! You can set up and operate a Black Echo Rebroadcasting station LEGALLY. As many of you saw in the COMMS UP! video, an overview of AmRRON (the American Redoubt Radio Operators Network), rebroadcasting station Black Echo-3 was using an FM Transmitter capable of transmitting legally, yet had the capability to increase power to output levels that would currently be illegal under FCC Rules. In a major disaster/collapse (let’s call it TEOTWAWKI), keeping your community informed of life-saving information would probably trump the fear of having a bureaucrat from the FCC knocking on your door to hand you a cease and desist notification. Many factors can affect the range of an AM or FM broadcasting transmitter, such as the power output setting, antenna tuning and height, and terrain (buildings, trees, hills). Why does AmRRON have a rebroadcasting program? Besides the fact that it’s FUN, there’s really a tactical and strategic point. The goal of AmRRON is to connect people. In most cases the overall goal is to connect like-minded people. In the case of the Black Echo rebroadcasting program, the point is to inform your community. It’s a one-way flow of information. AmRRON primarily employs two-way radio communications such as Ham radio. The CH3 project ties non-ham operators with ham operators, so more people have more information than would otherwise. Plus, that’s that many more eyes and ears who can share information in both directions. But that still leaves the overwhelming majority of the people in your community in an information blackout, since most people do not have adequate communications to tune in. Enter the Black Echo Rebroadcaster – an FM or AM station operator. An AmRRON operator with a slightly different mission. Nearly everyone has access to a battery operated FM or AM radio, even if they have to go to their car to listen. In a serious ‘down’ situation (not talking about EMP here), it’s probable that the commercial stations will begin going silent. People will be scouring the radio dial looking for any information – any voice that can bring them news and information, and most importantly, encouragement, comfort, and hope. That’s when you go full power and high-gain antenna and become an information lifeline for people you’ve never met before, and probably never will. To transmit ‘legally’ without a license, under the FCC Rules, a transmitter must be limited to transmitting a maximum distance of approximately 200 feet. Of course, we see violations of this in every community; Real estate advertisements at homes for sale, musical Christmas lighting displays, and other outdoor events. In many of these cases, it’s not uncommon to still receive the signal in your car for up to a half mile or more from the transmitter. These get little, if any, attention from the FCC. The commission tends to focus on the blatantly-illegal transmissions of pirate radio DJs and political stations that intentionally far exceed the legal broadcasting limits, and do so continuously or regularly and especially those who interfere with the signals of existing local commercial broadcasting stations. They’ll throw the book (and hefty fines) at those cases, and eagerly confiscate all associated items, including laptops, music collections, transmitters, antennas, etc. Unlicensed operation on the AM and FM radio broadcast bands is permitted for some extremely low powered devices covered under Part 15 of the FCC’s rules. On FM frequencies, these devices are limited to an effective service range of approximately 200 feet (61 meters). See 47 CFR (Code of Federal Regulations) Section 15.239, and the July 24, 1991 Public Notice. On the AM broadcast band, these devices are limited to an effective service range of approximately 200 feet (61 meters). See 47 CFR Sections 15.207, 15.209, 15.219, and 15.221. These devices must accept any interference caused by any other operation, which may further limit the effective service range. With the Black Echo rebroadcasting stations, you’re not trying to break any laws. You’re simply broadcasting throughout your home and immediate vicinity within your neighborhood… until an emergency or ‘comms down’ situation. 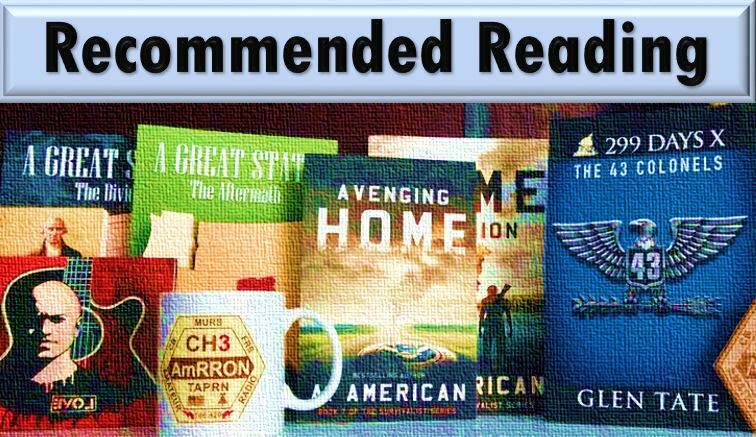 Save the max power and extended range for then, when it counts – When spreading news and information and saving lives is more important than a rule book written by bureaucrats in DC back when life was grand and orderly. So, can I broadcast now, before TEOTWAWKI? Absolutely. Just be mindful of your output power and range. If you are going to test your station’s maximum capabilities to see what kind of range you might expect out of your transmitter in a real-world emergency broadcasting situation, do so briefly and in a way that does NOT interfere with commercial stations. That’ll attract attention really quickly. Commercial broadcast listeners WILL call the station to alert them, or simply to complain. There’s someone who hates pirate radio broadcasters more than the FCC, and that’s a commercial station’s manager/owner. Go to FCC.gov to learn exactly what your limitations are, and stay within them during peacetime. 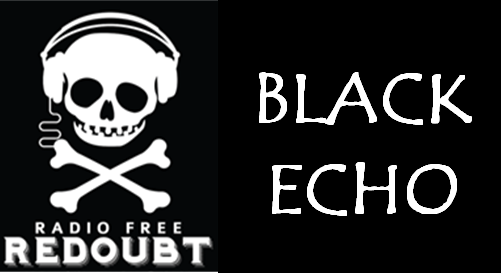 There are several Radio Free Redoubt Black Echo Rebroadcasting Stations that we’re aware of. We decided not to publish a directory of their locations. We don’t want the FCC going into their community specifically hunting for them looking for potential “violations,” and they’ll really be the most useful (as intended) in their own communities during and after a collapse and rebuilding anyway. So it really doesn’t matter where they are if there’s not one in your community. People in their communities will find them on the dial when the time comes. We do let Redoubters know about them if they are in the same community, so they can tune in and support their local Black Echo station by listening. What content should I broadcast? It’s up to you. You are in charge of your station, but current stations rebroadcast the internet live streaming Radio Free Redoubt episodes, plus previous RFR podcasts from downloaded audio files, old time radio shows, music, and other favorite podcasts of theirs. Basically, anything they have in audio format on a cd player, iPod, laptop, etc. In a serious disaster/collapse situation, you could retransmit ham radio traffic coming in, or put together reports from what you’ve heard during net monitoring sessions, and then put condensed news reports out covering just the pertinent information to your community. At a minimum, you’ll need a low power (micro power) AM or FM transmitter, an antenna, an audio patch cable, an audio source and a power source. The most common are the FM transmitters that are ‘plug-and-play.’ The transmitting frequency is adjustable and the power is adjustable from 100mw (1/10th watt) up to 30 or more watts (that’s illegal). They keep the power down to legal limits/ranges, but have the capability to boost their power to the maximum 7, 15, 20, 25, or 30 watts (or more, depending on the model) when they need to. They simply require an audio patch cable from the headphone jack of their audio source, plugged in to the audio IN on the transmitter. 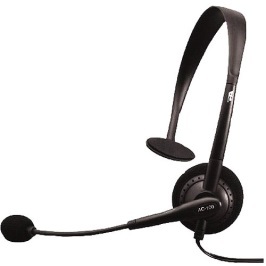 Most also have a ‘Microphone In’ jack, so you can connect a Over-the-Head Headset with built-in Boom Microphone. A microphone allows you to break in to your audio source programming to give public service announcements and news, as well as a chance to add your own personality. This might be especially important when giving public service announcements or giving some words of encouragement. It’s the voice of a live person that people want to hear crackling over the airwaves. Your station should be portable, in case you need to bug out from your normal location or transmit while on the move. You’re only limited to your imagination as far as how you configure your station. Many of the ‘plug-and-play’ transmitters come with a telescoping antenna that conveniently connects to the back of the unit. These give nominal performance and produce very little gain, which will greatly limit the range of your transmitter. This might be a good thing during peacetime/non-emergency broadcasting, since it will help keep you within the legal range (distance) limits. For the best performance and maximum reflected power and gain from the antenna (to increase your maximum range), you’ll want to position your antenna outdoors, and elevated as high as possible. Try to elevate it above buildings, trees, or other manmade/natural objects whenever practical. Black Echo 3 had a local Ham operator build a copper J-Pole antenna tuned specifically for the frequency she would be transmitting on. With a 50’ coax strung outdoors, this greatly increased the range. It was reported that on just 7 watts using the J-pole antenna during a brief station test, her broadcast was heard clearly at a distance of 12 miles. This of course was with no obstacles and a clear line of sight. That’s some impressive coverage into your community during an information blackout. A quick google search will net many resources on how to build your own antenna for a fraction of the cost. The 3.5mm audio input jack in the transmitter essentially allows you to broadcast any audio that can be played back from a device that has a typical 3.5mm headphone jack. While some transmitters have RCA jacks in the back, nearly all transmitters also include an audio ‘In’ jack. This allows you to play Radio Free Redoubt while live streaming from your computer, or downloaded previous podcasts from RFR or any other favorite downloaded podcasts, music files, old time radio episodes, etc. You can also output audio from a shortwave radio, scanner, etc. It is possible to transmit live scanner, ham and shortwave traffic through your station. Whether that is ‘legal’ or not is not really in question at this point, especially since you are only broadcasting for your own personal use around your own property – and maybe a couple neighbors – at this time (peacetime). However, most of that traffic would be raw and difficult to make sense of by the majority of your listening audience – probably mostly non-useful to them. The best method is to play some other pre-recorded audio files from your library while you’re monitoring AmRRON traffic. Take good notes, and then produce and disseminate the filtered summary of news and information coming from the AmRRON nets at a time that’s convenient for you. If there is any time-sensitive ‘we-interrupt-this-program’-type of information coming in, you can always break into your program to retransmit the breaking news or make a public announcement yourself. Most units come with a 110v to 12v power supply so you can operate the unit plugged in to commercial power. But you want to be capable of transmitting off grid. For logistical reasons, this is why you should try to purchase and use a transmitter that requires a 12v input power supply. You can easily configure a cable that you can attach to a 12v RV deep cycle (for best performance) or a 12v car battery. A solar panel adequate for recharging the battery is a must for extended use, unless you have an ample supply of fuel for a generator. But the reason the commercial broadcasting stations will begin disappearing is because they (and you) are limited to the amount of generator fuel that can be stored. The size and number of your batteries, as well as your ability to recharge them, will affect how often and how long you will be able to broadcast. So plan accordingly, especially if you hope to stay on the air for extended periods of time. Remember, the quickest way to get yourself in trouble is to interfere with the signal of a licensed commercial broadcasting station. To avoid interference, you want to find a blank space on the dial. You can do this manually by scrolling through the stations, and preferably with a 0.2 MHz separation between your station and an adjacent station. So, if you have local stations on 91.1 and 91.5 you would transmit on 91.3, NOT 91.2 or 91.4. Due to the bandwidth, your signal could very likely bleed over into the signal of the adjacent station. Not good! The other way (recommended) is to visit Radio-Locator.com to check for licensed broadcasters in your area. This will also list the distance to each station from your zip code. And the best thing you can do is experiment with your station. Set up a regular schedule – two hours per week, for example, such as on Sunday evenings when Radio Free Redoubt is airing live. You can stream live at RFR’s Centovacast streaming page where you can select the audio player you prefer, and it will begin streaming whenever RFR is streaming from the studio in the American Redoubt. Broadcasting on a regular schedule will help you learn the limitations and capabilities of your station, and it will help you become proficient in its operation, which will make you a better station operator. Then, upgrade and improve your station over time. And have fun! In a TEOTWAWKI situation, you could be the information and psychological life-line to many people in your community. Thanks to those of you AmRRON operators who have stepped up (and who will) to become Radio Free Redoubt Black Echo Rebroadcasting Station operators. 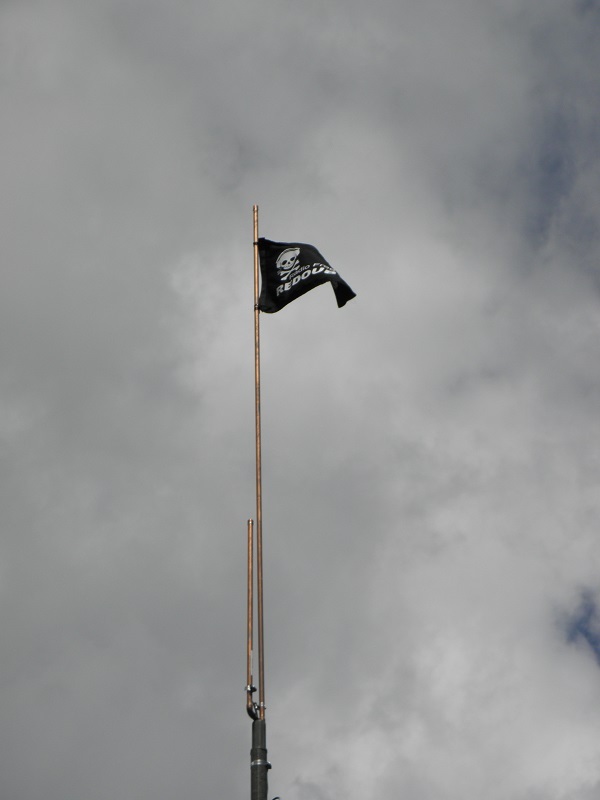 For more information about Low Power, Micro Power, and Pirate broadcasting, the following links have a lot of information. The rest is up to you! Keep us posted on your station so we can assign you a station number, and let us know your general location so we can inform ARN members in your area. We’d love to hear updates and testimonials. Nice dipole instructions. I’m going to make one! I have capabilities of establishing an FM station in the event of a grid down situation. I will try to set it up this week to test it out (its brand new). Then will put it away in an EMP shielded box inside a grounded CONEX. It is capable of 2-25 watts. I want to do this…I need to start saving NOW! Who do I contact to let them know I have a station operational and to obtain a station number? limits, keeping the stations unlisted is an additional precaution. likely be compiling information from your scanner or the AmRRON nets. 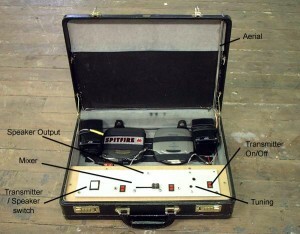 Joe N9TAX (http://www.2wayelectronix.com/) will custom cut slim jim antennas for the field. His dual banders are already very popular and are of excellent workmanship and performance. Because of the wide band for FM broadcast, he cut me a pair – one at 93 Mhz +- 5Mhz, and one 103 Mhz +- 5Mhz. They are staples in my field BE kit. Going to be putting up a Black Echo station for my neighborhood. Going to play all JJS podcasts on a loop unless any emergency traffic or informed passing along. I have the necessary equipment to rebroadcast on 106.3 FM from 0-25 watts in the 37167 area code with a tuned J-pole stored in a faraday cage, but don’t plan to actively do so at this time. N9TAX, maker of the slim-jim roll up j-pole, will cut you a custom tuned version for about $27. They are effective +-5Mhz, so if you got one cut to 93Mhz and one cut to 103Mhz, you’d pretty much have the broadcast band covered. Great for field-expedient setups.